Many models of modern notebooks, netbooks and cordless keyboards have no indicators for Caps Lock, and Num Lock. Indicator of Scroll lock disappeared almost from any hardware. 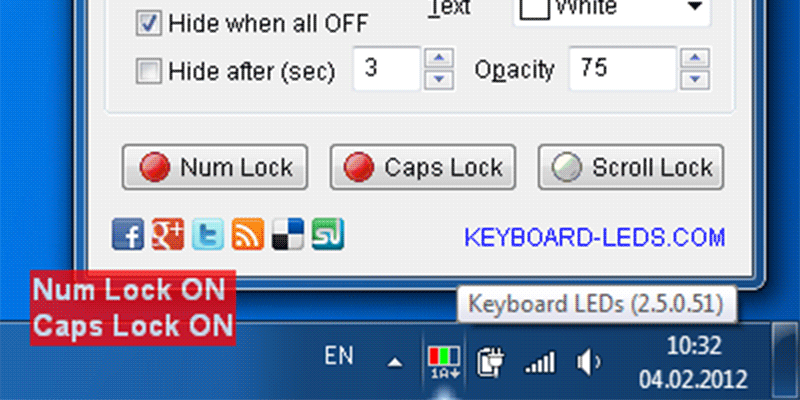 Keyboard LEDs software solves this problem and allows you to see the current state of keyboard locks on small icon in the system tray or on the floating window over your screen.